Joseph & Berry – Remodel Design Build, serving Greater Dallas and suburbs is socially obligated to give back the community that is constantly helping us grow. 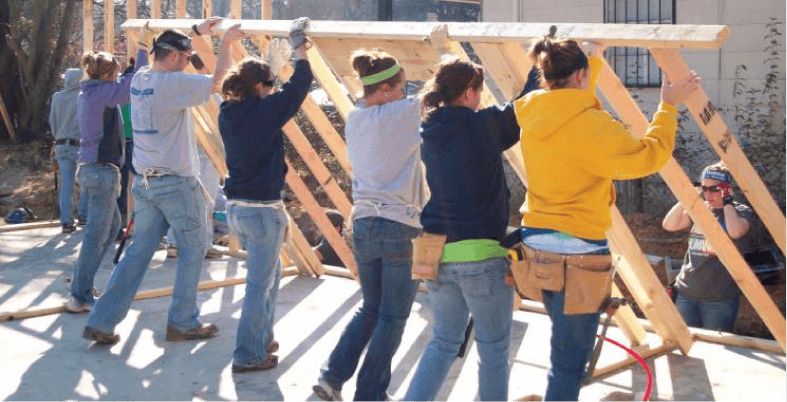 If you know a great cause or a family in a need of home improvement, that we might be able to help, we’ll be happy to reach out with one of our home remodeling specialists and change others lives. Let’s make Dallas greater than it is. Meet Kelly, our heroine, who battles cancer at the age of 12. Joseph & Berry Remodel Design Build had the privilege to be part of changing Kelly’s life by remodeling her master bathroom and making it more comfortable and easier for her to keep her day-to-day routine after released from the hospital. Our hearts go out to see the picture and read the information on media. We are humble and thankful for the opportunity to donate vital products and money to varies organization in order to help south Tx. Please join us in that extremely important cause and help change others lives. wants to join us make our community better?